Ma Rose has the most amazing temperament one can think of. 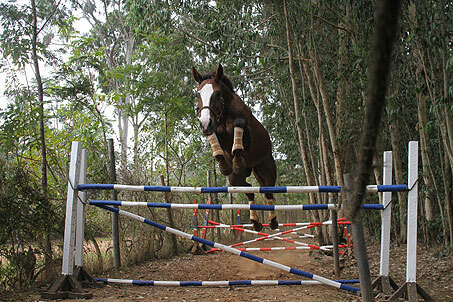 She is always calm – even at big noisy shows, she is brilliant on outrides and has never resisted a task yet. She always tries her golden heart out for her rider. 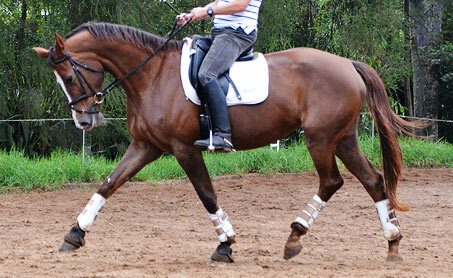 When properly collected she shows her extravagant cadenced trot and floats around the arena. Her canter is her easiest pace and she is happy already to collect & canter very small circles – almost pirouettes, despite her young age. Ma Rose’s first foal, Frascati after Fürstenball, went straight to the Danish foal championship in 2011 and was one of 12 best foals that year in Denmark. Frascati’s full brother Fürst Afrique was born 2012 in MALO stables and is as stunning as Frascati and of the same lovely temperament as his two parents. Ma Rose wins every class she competes in. 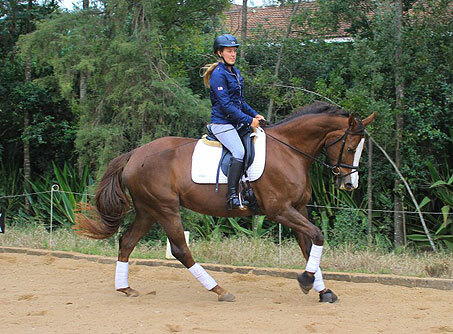 She won the FEI group 9 prelim test with 71,5% and was the horse in all Africa with the highest marks in 2013. Every test she has done since she has won. In the last show, judged by UK judge Mary Robbley, MA Rose won the overall Dressage Victor Ludorum – meaning the best performing dressage horse at the show.